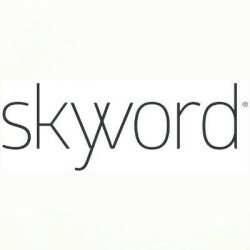 Want to see all the technologies used by skyword.com? Skyword moves marketing leaders and those who create content for them forward. By embracing a sustainable, scalable approach to original storytelling, Skyword liberates brands from ineffective marketing practices and inspires them to create deeper connections with their audiences. The Skyword Platform makes it easy to produce, optimize, and promote content at any scale to create meaningful, lasting relationships. Skyword also provides access to a community of thousands of freelance writers and videographers, an editorial team, and program managers who help move clientsâ€™ content marketing programs to new levels of creative excellence. Skyword is a privately held company headquartered in Boston, Massachusetts, with offices in Palo Alto, CA, and New York City. The companyâ€™s technology center is located in Pittsburgh, PA. Investors include Cox Media Group, Allen & Company, Progress Ventures, and American Public Media Group. For a quick look at additional technographic info on skyword.com or any domain on the web, download our Chrome Extension. Check out our help article to see how Datanyze Insider can help you.